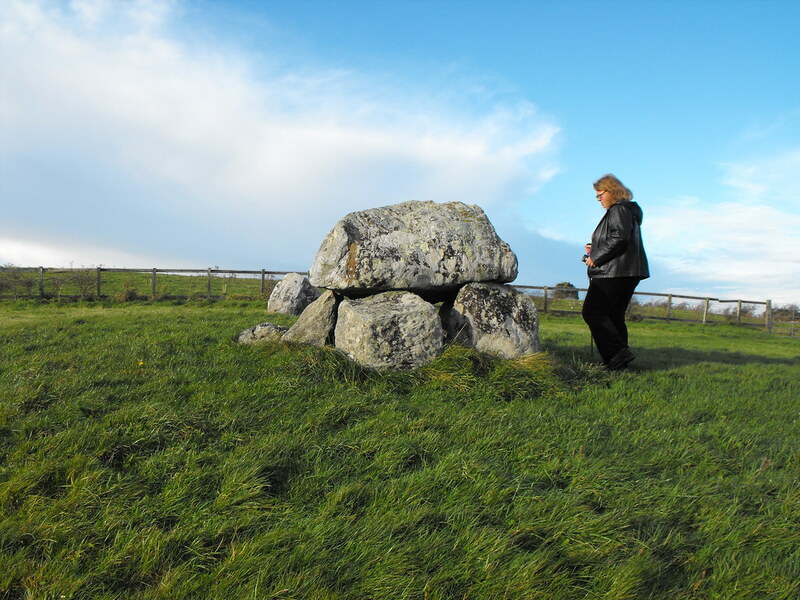 The Standing Stone: Tomb 5, Passage Tomb, Carrowmore, Co. Sligo. 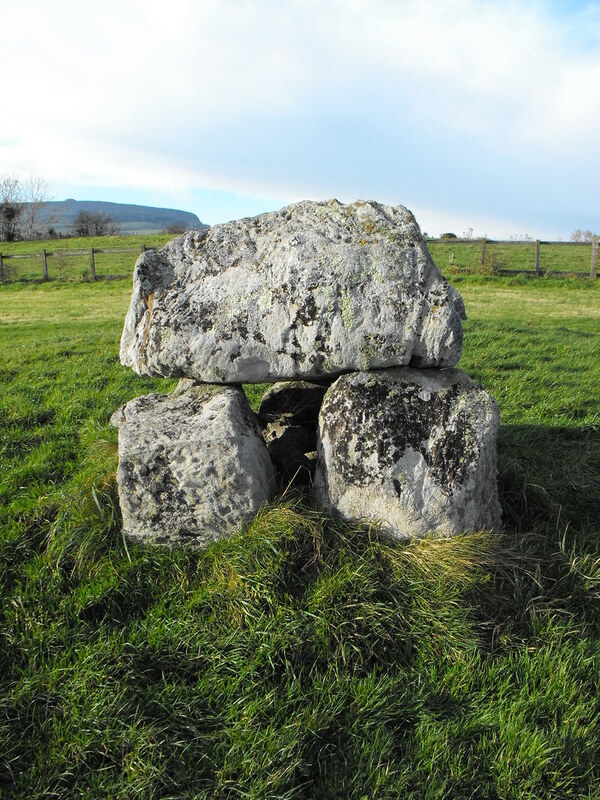 Tomb 5, Passage Tomb, Carrowmore, Co. Sligo. 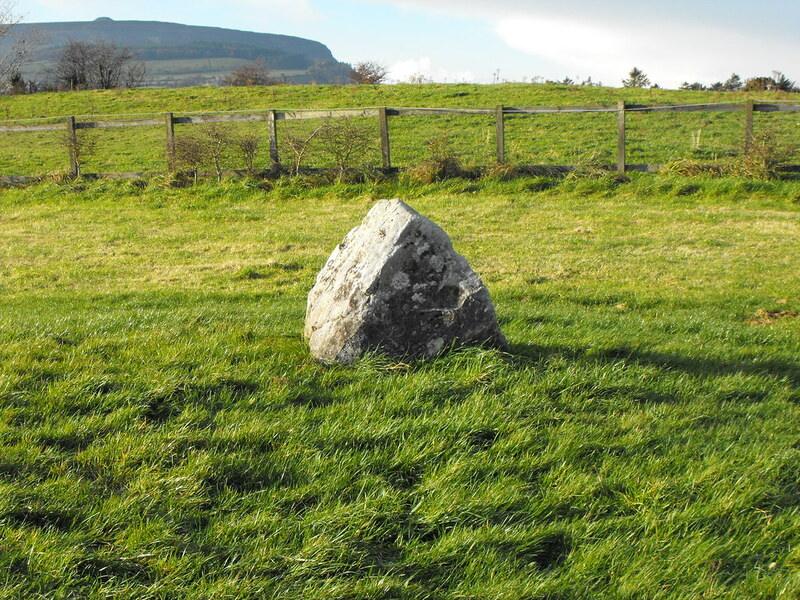 Location – In the field opposite the car park for the visitors centre. This tomb is easily visible from the road. 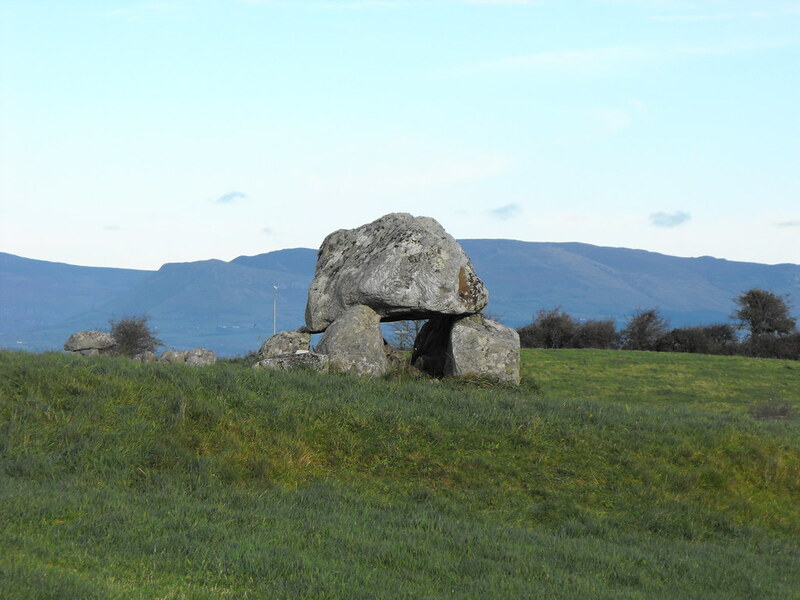 Description and History – This is one of the most famous tombs at Carrowmore and is one of the most photographed, yet amazingly it has never been excavated. 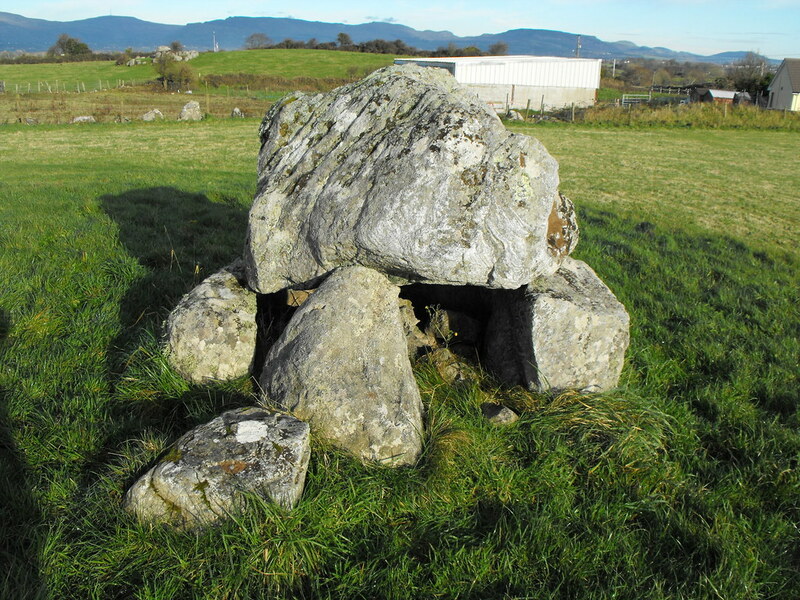 This looks like a little portal tomb but is actually a small passage tomb. 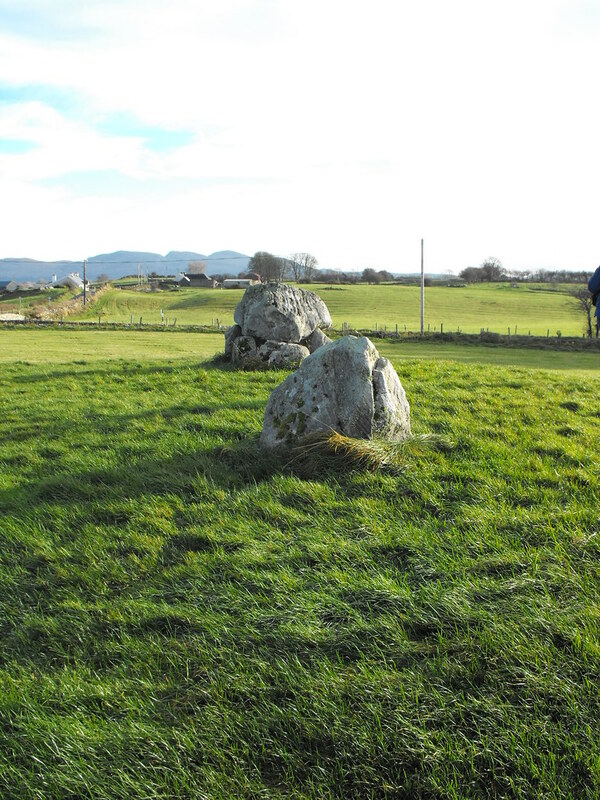 Only one of the stones from the outer kerb remains in place and it is estimated that the tomb was originally 12 meters in diameter. This really is a great little tomb. Also known as tomb 4. Back to the Carrowmore main menu. Looking at tomb 5 from tomb 4. 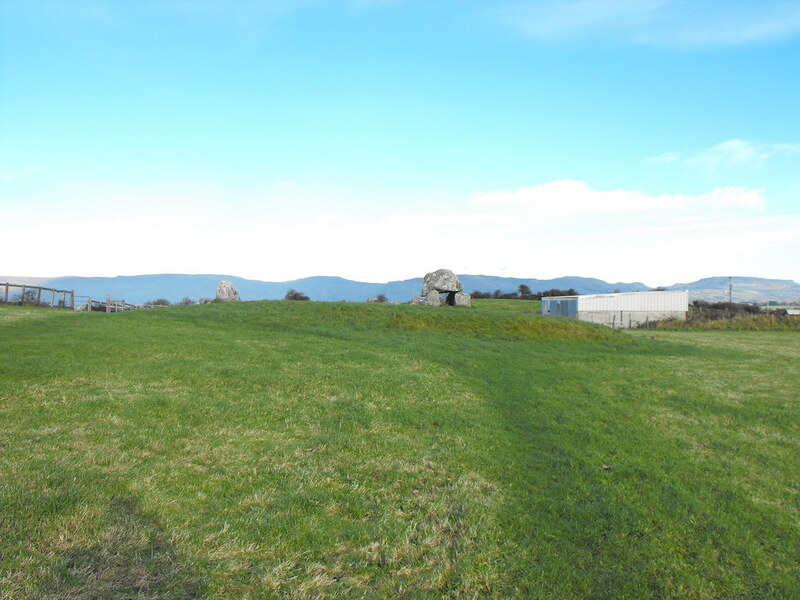 You can just see the top of tomb 7 on the horizon. You can really see here how small this tomb is.